Inferno Metal Festival Switzerland will take place in Lausanne, Switzerland on June 27-28, 2014. 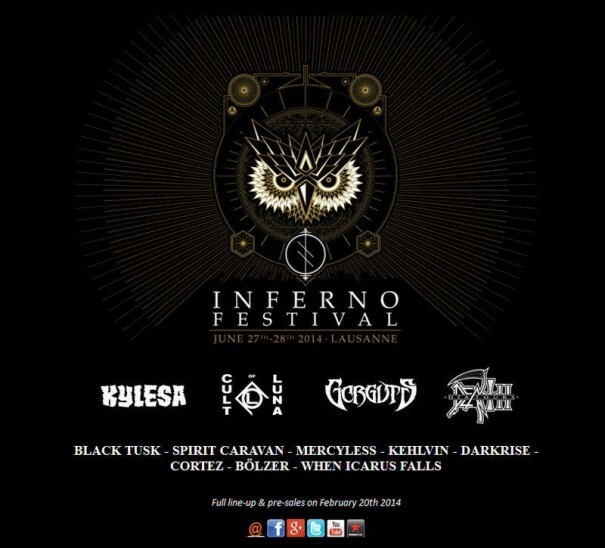 Kylesa, Cult of Luna and Gorguts are among the bands that will perform at the Inferno Metal Festival Switzerland 2014 festival. Come back for full line-up & pre-sales on February 20th 2014!